Visits to the vet can be staggeringly expensive. How can you save money and your best friend? According to Consumer Reports Magazine, veterinary costs have almost doubled since 2004. Ellen Baker loves rescuing cats, but the Madeira woman will forever have a special place in her heart for Bella, who died recently after a night at a pet hospital. Just minutes after she brought the ill cat back home and opening the car carrier, Baker said, "she stumbled toward the window, she cried out, and fell over dead." Her beloved tabby cat had died despite 24 hours of tests, lab work and antibiotics. "Losing her I felt like my heart had been ripped out of my chest," Baker said. That was just the first blow. The second was the bill. Baker said she was confronted with a hefty bill the moment she and a very sick Bella arrived at Cincinnati's Care Center in Sycamore Township, Ohio. "I was told, 'You have to pay $2,204 up front to cover anything and everything that might need to be done,'" she said. Baker, distraught, handed over her credit card. Refusing to pay would have felt like sentencing Bella to death. The next day, Bella was still sick and the hospital needed another $1,000 to continue treatment. "The bill in the end was actually $3,346," Baker said. Outrageous? Not according to the hospital's medical director. Jessica Brotherton of the Care Center explained to us they have millions of dollars worth of high-tech equipment, from CT scanners to chemo rooms for cancer, and surgeons who perform life-saving surgery unheard of 10 years ago. As for charging up front, she says the hospital was forced to do that after dozens of people brought their pets in for expensive care, left, and never paid the bill. Hospital founder Dr. Doug Hoffman told us "there are certain treatments costs associated with that certain level of care given them, and there is a price associated with that." "Much of the equipment we have is the same you would have in a human hospital," he said. According to Consumer Reports Magazine, the hospital's fees are not unusual. The magazine also says veterinary costs have almost doubled since 2004. 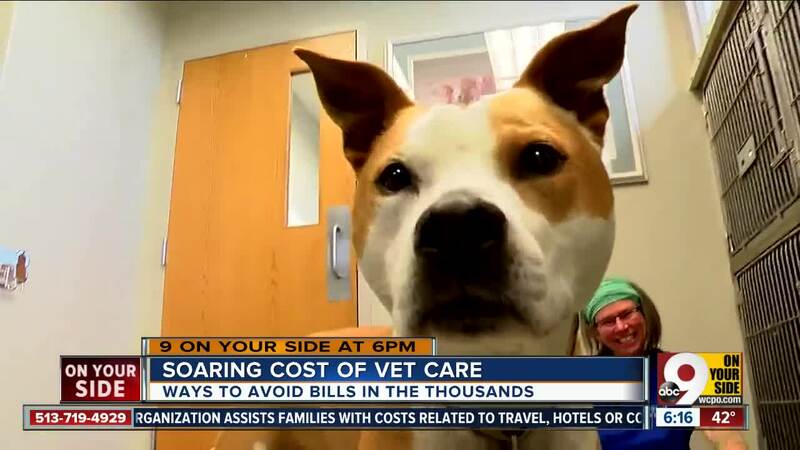 An overnight stay for testing typically costs over $1,000, a torn ligament repair can cost $3,000 and cancer treatment for a dog or cat will cost $5,000 at the very least. What can you do to make sure that when your kitty or puppy eventually gets sick, you're not hit with a surprise $5,000 bill? We went to the Animal Care Center of Fairfield, where senior Dr. Wendy Vogel urges her customers to purchase pet insurance ranging from $250 to $500 a year. "I wish everyone with a pet had insurance on their pet," Vogel said. Although the cost may seem steep, she says it prevents sticker-shock for major care. "They pay 90 percent of it in many cases," Vogel said. "So, if your bill is $1,000, you pay only $100 out of pocket, and that allows people to do the things they want to do but could not do without the insurance." The tech site Mashable just analyzed thousands of pet owners' reviews, and listed the top pet insurance companies for 2019. You also have other options, Vogel said. You can also sign up for a Care Credit Card , a sort of HSA account for pets. 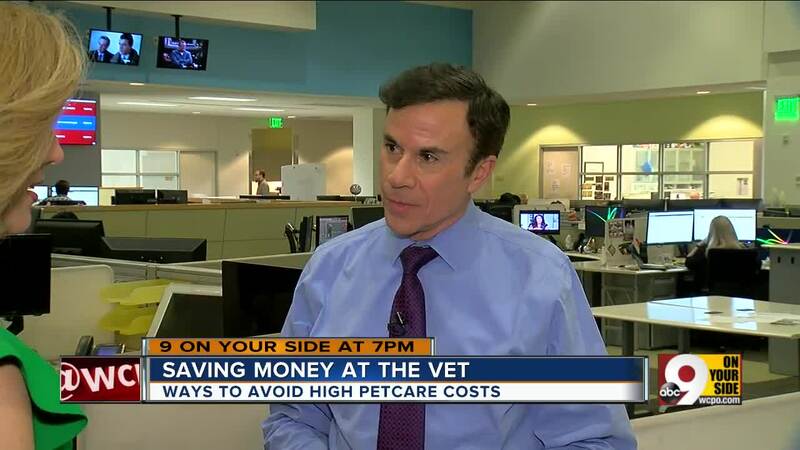 Or, she said, you can put aside money each month in a pet care savings account. Ellen Baker is going to explore those options now, after wondering how anyone can afford today's pet health care. She was willing to pay the thousands needed for Bella's treatment, even though she said it cost her almost a month's pay. She worries many people would just say they can't afford it. "Many families, I am sure, have to make the choice if their pet is sick to simply put their pet to sleep," she said.